A group of Democratic senators sent a letter Wednesday asking U.S. Attorney General Jeff Sessions to continue to investigate HHS Secretary Dr. Tom Price's trade deals. Before he was fired earlier this month, New York Attorney General Preet Bharara was reportedly investigating Price. Some lawmakers speculate that Bharara was fired by the Trump administration because of the investigation. Democrats have repeatedly called for a probe into the healthcare stock dealings of Price since he was nominated in January. Price has reportedly traded more than $300,000 in shares of about 40 health-related companies in the past four years while debating and introducing legislation in the U.S. House of Representatives that would benefit those companies. 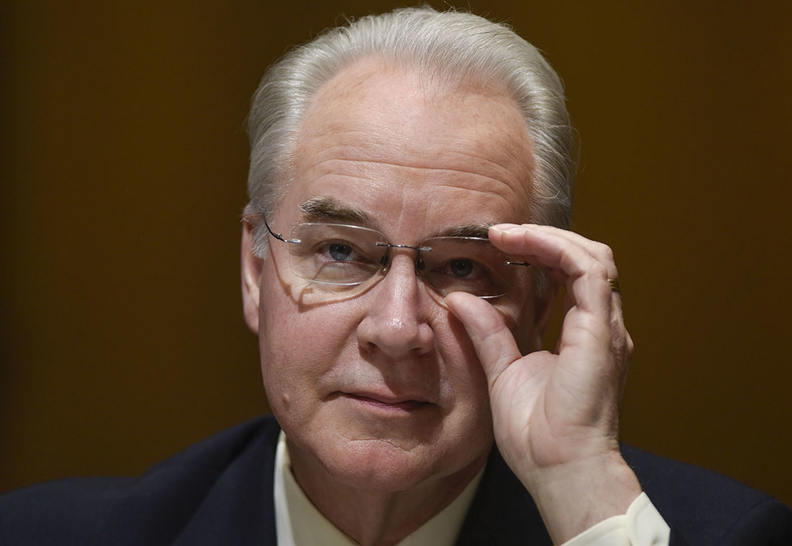 Price has said he and his lawyers were not aware of any federal investigation. The letter was signed by senators Patty Murray (D-Wash.), Elizabeth Warren (D-Mass. ), Ron Wyden (D-Ore.), Bernie Sanders (D-Vermont), Al Franken (D-Minn.), Tammy Baldwin (D-Wis.) and Margaret Wood Hassan (D-N.H.). Bharara was one of 46 attorney generals Sessions fired earlier this month. It is customary for new administrations to replace attorney generals brought on by the previous administration. But Bharara's firing came as a surprise since President Donald Trump previously said he would keep him on.